Think you know the truth about Cinderella, well you don't know it right. Why were her step sisters ugly? Did she really have a fairy godmother? Find out how bad she truly was and how she made her sisters out to be the bad guys, in this poetic retelling of the old classic tale. Perfect for a children's bedtime story. The book lasts about 12 minutes. It is about Ella and her trickery. No one was safe from Ella's antics, including her sisters, the Prince, and Paul (another boy she fancied). The sisters were trying to get even with Ella for all the problems she causes for them, but then they messed up and decided they really couldn't kill their sister. In this story, the sisters are good and Ella is bad. "The Truth About Cinderella" was so cute but who knew she had a bit of a mean streak. This was an adorable short rhyme and a tell all about Miss Ella. Steven Goodwin's very clever to create this sketch. It was fun. Ian Barker's performance was perfect. Absolutely enjoyable. A humorous retelling of the classic fairy tale. The narration was quite well done. "This audiobook was provided by the author, narrator, or publisher at no cost in exchange for an unbiased review courtesy of Audiobook Blast. 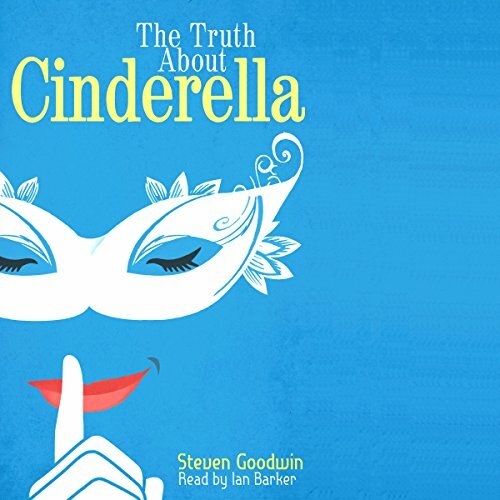 Where does The Truth About Cinderella rank among all the audiobooks you’ve listened to so far? It's a fun story told in rhyme. The wonderful story of Cinderella turns out to be so much more (as seen by a little fly on the cottage wall or could it have been one of the Cinderella's mice friends?). Pace was perfect. The narration sounded a bit "wet" (mouth) in spots but I don't believe it took away from the story. It was well narrated. I received a copy via audiobookblast in exchange for an unbiased review. The Truth about Cinderella was cute and I can imagine listening along to it with my 7-year-old daughter--I only wish there were some illustrations to go along with the text. The narrator was pretty good. He was "right" for the material. I couldn't tell if his accent was real or fake, however. Regardless, it was charming. *** Disclaimer: I was provided this audiobook at no charge by the author, publisher and/or narrator in exchange for an unbiased review. I have this book memorized! This audiobook was provided by the author, narrator, or publisher at no cost in exchange for an unbiased review courtesy of Audiobook Blast. I loved the book and so did my daughter. It was fun and narrated perfectly. It a favorite and we have listened to it many times to the point where I read along from memory! Great short, twisted fairy tale. Loved this. Short and funny. I was provided an audiobook at no charge by the author, publisher and/or narrator in exchange for an unbiased review via Audiobook Blast dot com.